In his home discipline of clinical psychology, he is also a Past President of the International Family Therapy Association and Past Founding and First President of the Israel Family Therapy Association. He is retired as a Professor of Psychology & Family Therapy at the Hebrew University of Jerusalem and Tel Aviv University. Throughout, Charny remains a practicing psychotherapist. 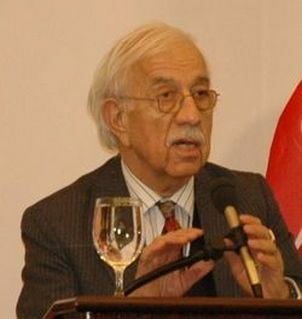 He was the Editor-in-Chief of the first encyclopedia in the field of genocide studies, the Encyclopedia of Genocide. Three of his books have been awarded "Outstanding Academic Book of the Year" by the American Library Association: Fascism and Democracy in the Human Mind: A New Bridge between Mind and Society (University of Nebraska Press, 2006); Encyclopedia of Genocide (ABC-Clio Publishers, 1999 and 2000); and the first volume in a series, Genocide, A Critical Bibliographic Review (Mansell Publishers, UK and Facts on File, USA, 1988). Israel Charny is widely respected and credited as a prime mover in the development of the field of genocide studies in which he has persevered in his leadership for over 40 years, often notwithstanding considerable resistance from those in the "Jewish establishment" who have sought to establish the overarching uniqueness of the Holocaust at the expense of denying the genocides of other peoples or minimizing their significance and comparability to the Holocaust. The Institute on the Holocaust and Genocide which he directs may have been the first to create the conceptual linkage between "Holocaust and genocide", and in any case has been at the forefront of addressing the genocides of all peoples, and genocide in the past, present and future of all peoples. Charny's first publication on the subject was in Jewish Education in 1968, "Teaching the Violence of the Holocaust: A Challenge to Educating Potential Future Oppressors and Victims for Nonviolence." Among his major contributions stands the historic first International Conference on the Holocaust and Genocide in Tel Aviv in 1982 -- which, as reported in numerous stories in the New York Times he saw through to a successful conclusion standing up against major efforts by both the Israeli and Turkish governments to remove speakers about the Armenian genocide, and failing that to close the conference down entirely.. The conference was followed by publication of How Can We Commit the Unthinkable? Genocide, the Human Cancer in 1982 (Westview Press (Paperback by Hearst Publishers [William Morrow], 1983), and reissued in 1998 in Portuguese in Brazil). It includes a major proposal for a GENOCIDE EARLY WARNING SYSTEM which was commended, among others, by the United Nations (Whitaker Commission Report), the New York Times Book Magazine, the US State Department, the Chancellor of Germany, the Prime Minister of France, and more. He has recently published several new contributions to a theory of the psychology of denial of genocide, accompanied by a call to establish a new organization of genocide surviving peoples –and other concerned peoples--R2L Right to Life. He received his A.B. in Psychology with Distinction from Temple University in 1952, and his Ph.D. in clinical psychology from the University of Rochester in 1957. In 2011 he was honored in Yerevan by the President of Armenia with a Presidential Prize in recognition of his researches of denials of genocides and his contributions to international recognition of the Armenian Genocide.